Can you guys upload dhivehi film “FUNASARU”. cane you pleas upload dhivehi film “Amaanaaiy” . 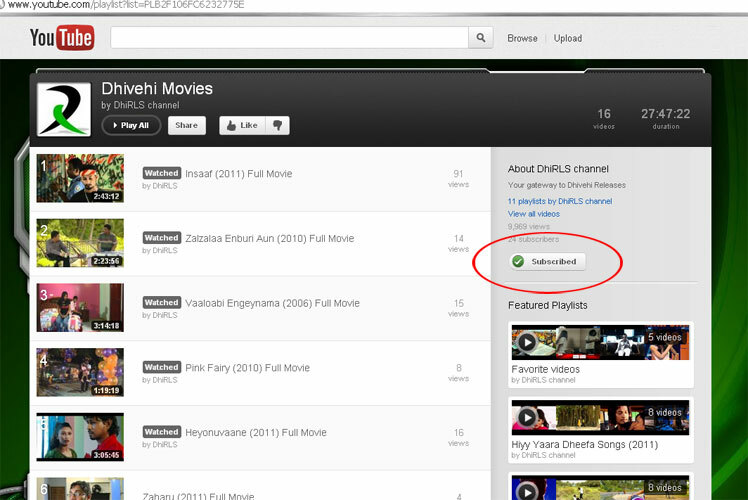 can you please upload all sihthifulhu movies?? DhiRLS has been terminated because we received multiple third-party claims of copyright infringement regarding material the user posted. Sorry! We don’t upload movies to YouTube anymore.